Welcome to Question Corner with Teacher & Gordo. In these posts, you will learn useful information regarding CodeMonkey’s different content and courses. Each post will include questions from Teacher with answers from Gordo, CodeMonkey’s smartest friend. This week, you will learn all about CodeMonkey’s Draw Your Own Sprites Course. Enjoy! Hi Teacher! Are there any questions that you were wondering about lately? Hi Gordo! Yes, I really do not understand what a Sprite is. Can you please explain? Yes, of course. Sprites can be anything that you see in the game. For example, sprites can be characters, objects, texts, etc. 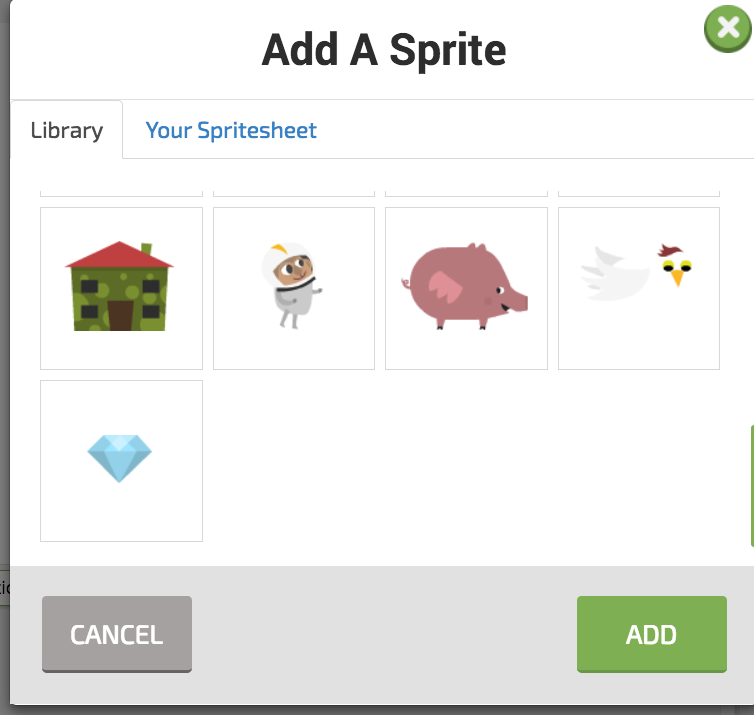 In CodeMonkey, students learn how to create their own sprites in the Draw Your Own Sprites course so that they can later add their creations to their games. Cool, what is the Draw Your Own Sprites course like? The course walks you through step-by-step exercises on how to create an apple illustration that acts very much like a GIF. 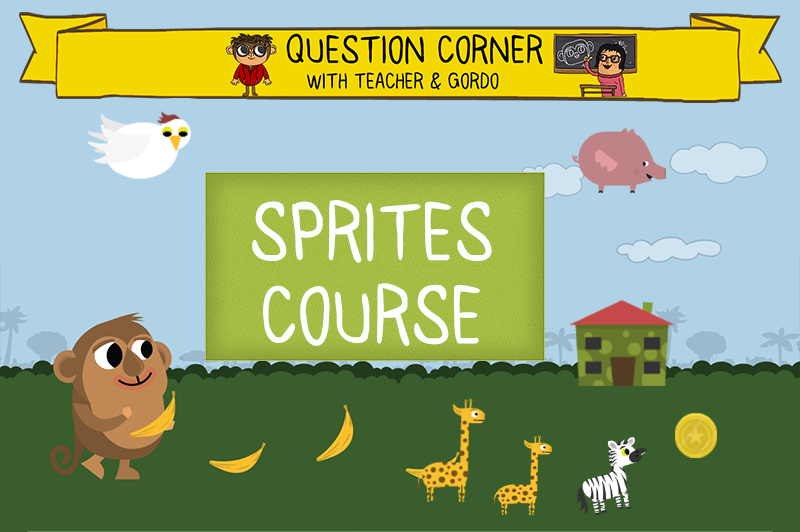 in this course, you will use sprites and widgets (which is a feature that allows you to add other functions to your Sprite, such as text or a timer). After you learn the mechanisms behind drawing and controlling sprites, you can then create your own spritesheet or upload a spritesheet to add to any of the games you go on to build. So, you are saying that I can use the GIF that I created in the Course and import it to my game? Well, the GIF itself would need to be recreated in the code, but the drawing of the apple can definitely be inserted into your game. Cool, how do I add a Sprite that I previously created to a new game? 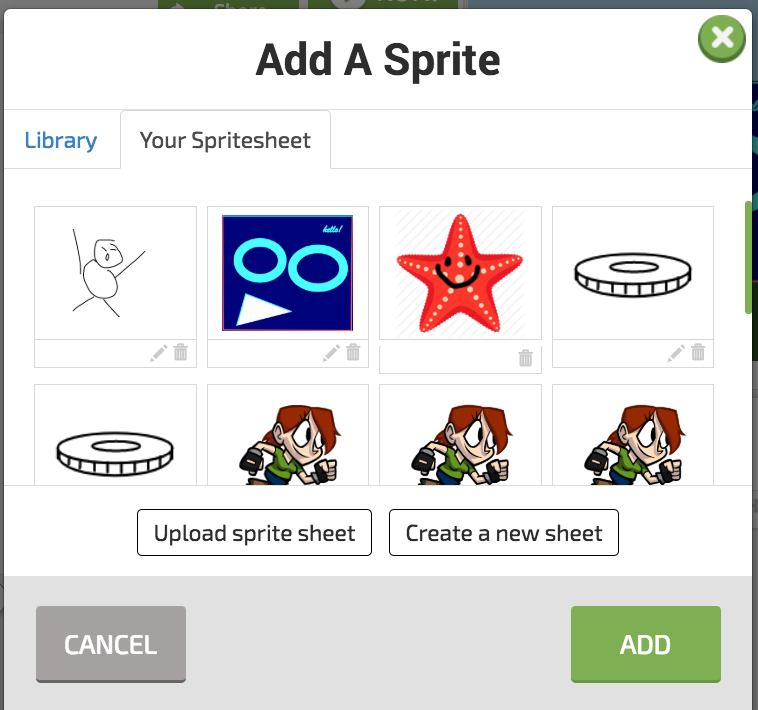 You can simply click on “Sprite”, then the plus sign and then the Your Spritesheet tab. There is no limit to the amount of sprites that you can add, so add as many as you would like! What is creating a Sprite like? Is it hard? So, it depends how artistic you are. If you love drawing, this is an awesome tool that you can spend hours on creating and building on sprites. If you want to quickly add characters and objects to your game, I recommend either uploading a sprite sheet from the Internet or create a more abstract game with sprites that are made from basic shapes like a circle or rectangle. You can play around with the colors and design. Wow, can’t wait to start drawing. Thank you! Any more questions regarding Sprites? Feel free to ask in the comments section below!